We have seen lots of fun geeky soap recently from the iPhone soap, to the Space Invaders soap. 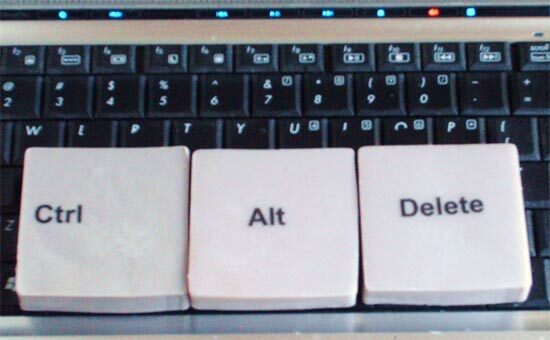 The latest geeky soap is designed after a combination of keyboard keys that are pressed to reboot your PC, the Ctrl Alt Delete Soap. The Ctrl Alt Delete Soap comes in a set of three soaps, each one weighing in at 2.5 ounces,and measuring 2.5 inches square, they all smell like tropical mango, and are made from infused shea butter. If you want a set of these fun Ctrl Alt Delete soaps, they are available for $6.50 for the set from Two Egg Plants.